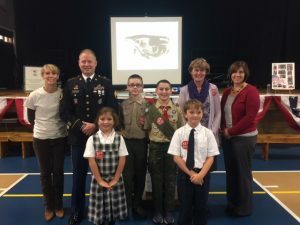 Annunciation BVM School hosted a Veterans Day assembly prepared by Roots for Boots. 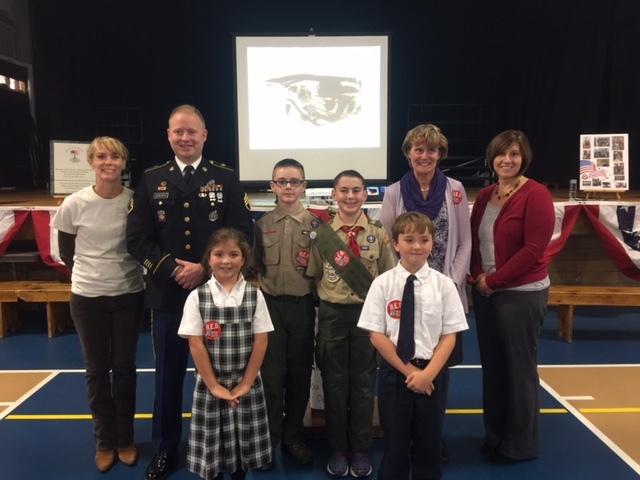 During that assembly, the first two Salute Our Youth awards were presented to Alex and Delainey for their efforts to support our veterans and active duty servicemen and women. 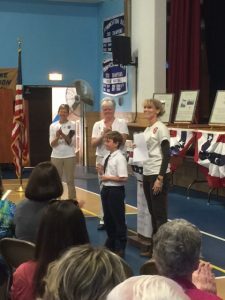 These two pint sized patriots openly display their love of country each day and serve as wonderful role models for their peers! Alex and Delainey … your community and Roots for Boots salutes you! !